SV Robinson’s review of the Citroen Cactus is deservedly our most nibbled item of clickbait here at DTW. I finally had a chance to sample the delights of Citroen’s stylish (or over-styled) supermini crossover so I hope to grab a slice of the action. 2015 Citroen C4 Cactus. I took too long to set up the photo. The version I tested had a 1.6 litre diesel engine and a five-speed gearbox. Whether it could muster 91 or 99 hp never became clear to me. The version I tested had the handy reversing camera and the full glass roof plus a centre arm rest for the driver. The interior is very colour sensitive and the grey tones of the test car dampened the sculptural quality of much the interior trim. There really is no reason to get this car in next-owner grey. The difference in residual values will be nugatory but choosing grey is choosing twenty years of boredom, even if you only drive the car for 36 leased months. Design-wise that C-pillar is absurd. The stuff that looks like it might be glass isn’t. Outward visibility is still actually very good and the slim b-pillars are excellent. Those rear windows don’t wind down, however. I will concentrate on two things in this postcard review. The first observation is informed by jaundiced view of the Renault Captur’s steering. I drove precisely the same roads and subjected the Cactus to my sneeze test where I turn the wheel as suddenly as I can to see what happens. While normal inputs yield the same rather dead feeling as the Captur, sudden steering inputs make the Cactus turn smartly in the direction required. This means small tiny movements produce small tiny changes in direction and expressive steering gestures result in proportional and crisply marked turns. I found this aspect of the steering satisfactory, and it gives the Cactus a lively character. The second main observation is that the steering feels light and in my book that’s a good thing. You are not working hard to get this car to do your bidding. 2015 Citroen C4 Cactus centre console. What is that bulge doing there? Why is there not a class-leading ashtray right there? Citroen have put together an odd set of ingredients for the ride quality. Around town the Cactus is quite good at smothering bumps – there is nothing overly jarring. What is perplexing is that the car is evidently softly sprung. You notice that sudden braking, sharp acceleration and mid-frequency road undulations all produce a marked body motion. 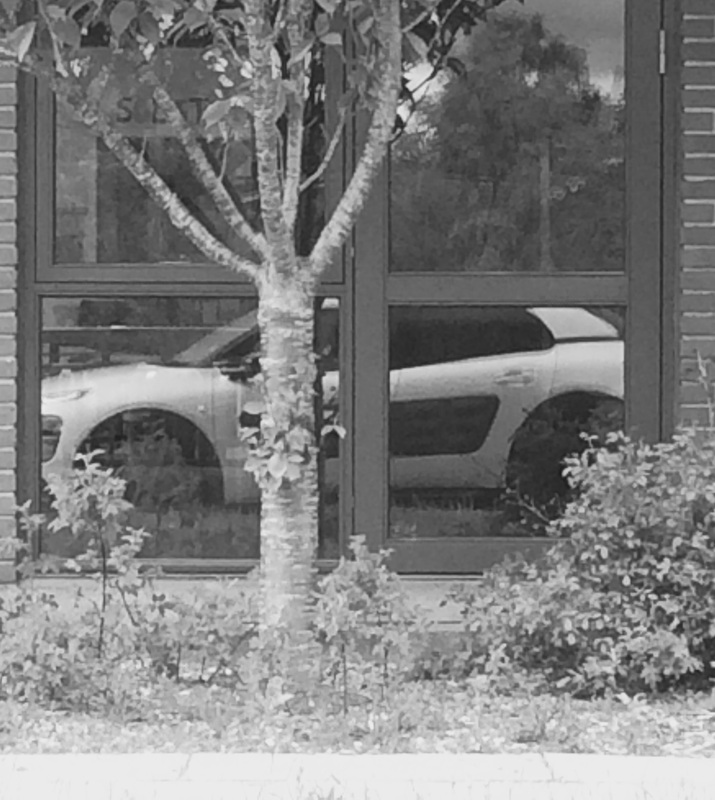 I happen to own a hydropneumatic Citroen and the motions of the Cactus are thus quite familiar to me. Despite the soft springing the car doesn’t wallow but it also doesn’t provide the cushiness I really feel this car is asking for. In lots of other ways the car is asking you to sit back and relax but the suspension is not quite up to providing this laid back approach. It’s not bad – rather, it’s quite good but I think it could have been better. The gear changing action left much to be desired. Graunchy is the word commonly used to describe this kind of gearbox behaviour. I don’t see why this kind of thing is still being served up in 2015. The engine needs to be kicked to get the car moving, particularly from rest. This is puzzling given the Cactus’ very light weight. I have no idea what rpms were needed to effect motion but I could hear them and feel them. The digital display tells you nothing but the speed and how much fuel is left in the tank. Having said the Cactus is not a sports car, I am not contradicting myself when I say I wish the car’s stepping off was less of a drama. 1.6 litres of diesel engine should provide ample torque and the car lacks mass and so lacks inertia. Where did the motive force go? Finally, I turn to the fuel gauge. I drove the car under a 100 km and the fuel gauge was still reading full when I brimmed the car with 5.8 litres of derv. When I got back into the car the fuel gauge had lost one bar so I delivered the car back with it seeming to be less than full. My conclusion is that the Cactus is at least superficially a cheerful vehicle that feels comfortably large inside, has some super colour options and with the diesel engine is good for 60 mpg. The let downs are the sticky gearbox and the nagging feeling that the styling is borrowed from a car with another agenda. What would this other agenda have looked like? That´s a good question. I think it might perhaps have offered all-wheel drive and done something more innovative with regard to the suspension set-up. As it is, it´s a slightly raised supermini that does nothing different than Honda´s HRV (1998). I know I ought to get over Citroen´s retreat from technical innovation. If this car had been available with hydropneumatics it would have had a super USP. The styling is not enough for me. Honda´s HRV had an all-wheel drive option plus striking looks. Nissan´s Juke has all-wheel drive as an option and is a more amusing drive. 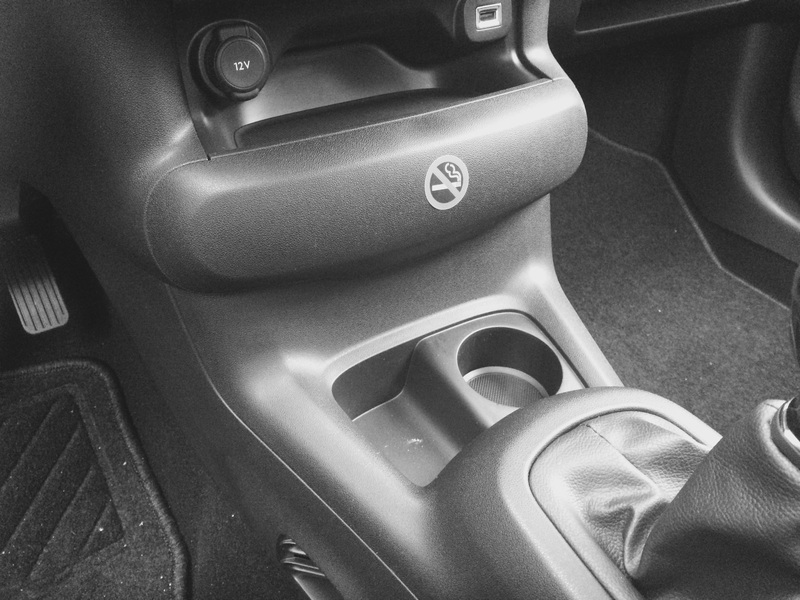 The only version that is closer to the feel of the original concept is the ETG auto version which, lacking the gear lever, has the nice quasi-bench seat set-up. From what you say, the manual isn’t pleasant, but the only ETG version available in an 82 hp petrol version. I’d prefer (indeed I’d only want) a petrol version, but an 82 hp auto sounds a bit sluggish. I am surprised that the Cactus has not been a runaway success. I can only surmise that the styling is proving divisive. Otherwise there really is no rival if you are looking for five doors and some personality for £12k. I’m surprised too. I’d be tempted to suggest that is because, when you actually sit in it, it’s not as nice an environment as the photos suggest. But Richard has mentioned the Juke and the same criticisms could be leveled at that, but it seems to be a huge success. There are lots of them here in Denmark. The yellow-black combo and the beige-brown combo are not unusual. I think the UK market has rules of its own. Yet this was the market where in the 70s Lancia was the most popular imported brand. I´ve seen the Cactus with its nice and its not so nice interiors. I liked the spaciousness which is common to all of them. I didn´t think the grey interior was bad as such and you´d think someone considering this car would want to have the warmer colours and jazzier trims. Plainly it´s not a car to attract wall-flowers. Still, remember that the UK is a different market and overall the Cactus seems to be selling quite well elsewhere. PSA reports that they´ve sold 100,000 units already. Every unit they sell now is mostly profit. Weep not for PSA. Correction: “CITROËN outperformed the market while focusing on the most profitable distribution channels, with registrations up 7.2% to 689,000 units and market share gains in France, the United Kingdom, Spain and Germany. This positive momentum was driven by the brand’s successful product offensive, headed in particular by the new C4 Picasso, the European MPV leader with 120,000 units sold in 2014, and the year’s three successful model launches: the new Jumper introduced in April (31,000 units sold), the new C1 (41,000 units sold) and the C4-Cactus introduced in June (42,000 units sold).” That´s still quite dandy, no? The quote is from Jan 2015 so you can double that number by now. The British market really is an odd beast. The Juke is now a regular top 10 seller: good for Nissan, not so good for my eyes. I take it you don´t dig the Juke? I found it humorous and when II drove it I felt it was fun and seemed to make a dull trip more pleasant. I don’t mind the Juke too much, apart from the front end which I regard as being contrary for the sake of it. I also find incredibly offensive a vestigial piece of black plastic trim on the C-pillar, ostensibly added to complete the trapezoidal DLO. Strange how such small details create such ire, in my mind at least. Chris. Yes, the C-Pillar treatment of the Juke is truly awful. With the exception of the painted transmission tunnel, I don’t find the interior matches the exterior for fun-kiness. I do find its success in the traditionally conservative UK market odd. I expected it to be received with the same guffaws as the Multipla – which was in fact a far better piece of design. Yes, it’s understandable. The Cactus c-pillar does the same for me. I don’t mind the Cactus C pillar so much as it attempts to perpetuate a lesser lie. The A-pillar on the C1 however, that is truly an abomination. I am seeing more now. Indeed, just the other day I waved at someone whom I thought to be a friend driving his Cactus, but it turned out to be someone else entirely. The problem also with customisation is that the more “creative” one gets with the option list, the more likely the car will have to be built to order. Then it has to be shipped, clear customs and reach the dealer. Spot on. I read somewhere that Mini got around that by developing a set of snap together dealer fit options, thus accounting for why they rattle about like a biscuit tin filled with plastic washers. Finally, with new registration plates issued every 6 months, there must have been a fair few people waiting to put their orders in time for the 2015 plates, not sooner. Well, several times i i was passenger in a Nissan Juke, but i do not understand the sympathy for this car. It has a harsh ride, the dashboard looks pretty cheap and gloomy and the small boot is a complete juke-joke. 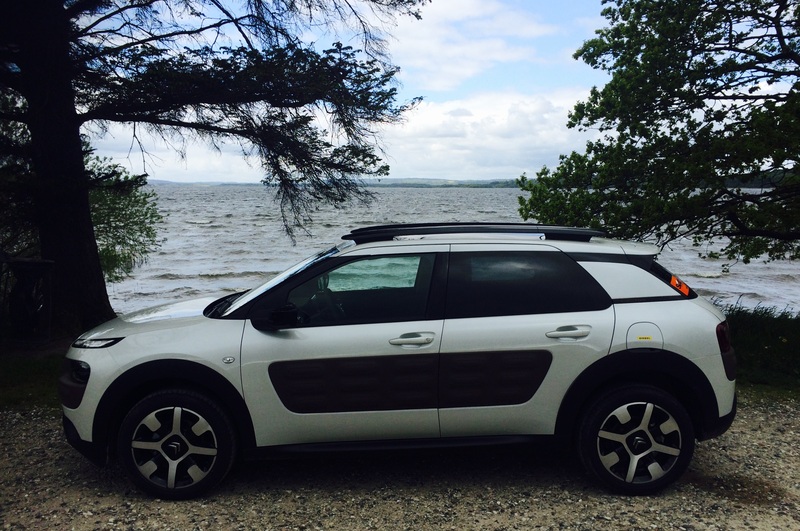 Cars like the Cactus, the Captur or the 2008 are the future for the french car-companies. The Renault 4 of the 21th century in my eyes. The Cactus is quite successful in some european markets. Spain, Benelux, Italy or Denmark for example. Of course not in Germany, where the market is dominanted by Volkswagen and their brands. The Yeti is clearly number one here and if a boring styled Volkswagen will enter this category, he will have more sales than all of its opponents together. The Opel Mokka is also very popular here, that is astonishing for me a little bit (because he is a actually a korean car that is not cheap and a little bit to thirsty), the Ford Ecosport is a flop, that is not astonishing at all. Next Next post: Theme : Secondhand – Do Not Resuscitate?